Cold Showers. I know right after reading that you have no doubts about permanently abandoning the comfort of your hot showers and jumping right into essentially a form of cold shock therapy session every morning to start your day, right? I’m not here to tell you the transition is easy, because it is not. I’m not here to tell you that you are going to love cold showers the day you start, because you will not. What I am here to tell you is that there are definitive benefits of cold showers, and that by at least implementing cold showers some of the time will positively affect your health. I know that if you are reading this far, you are at least interested in the idea of attempting a cold shower routine. That’s good. 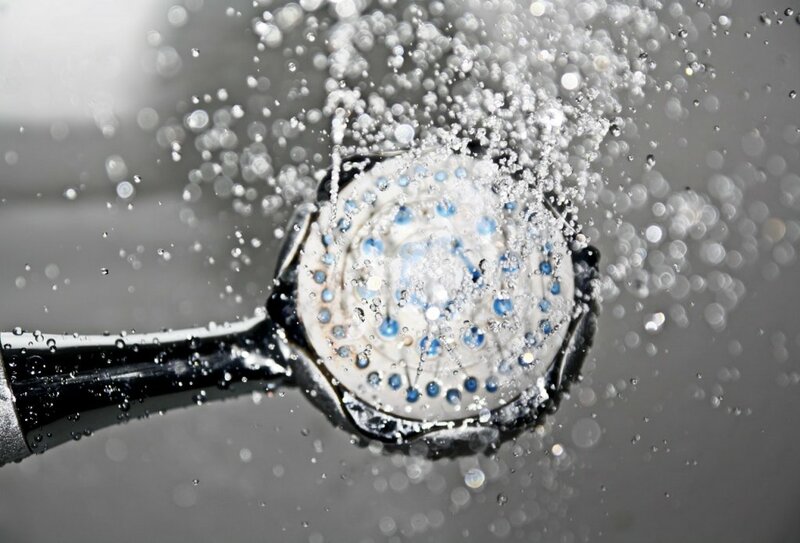 Throughout this article I’m going to enlighten you on not only the health benefits of cold showers, but benefits to your overall mentality and well-being as well. As I said, there are some truly awesome health benefits that consistent cold showers can do for your body. Here are just a few ways cold showers can help you out. Skin Health: While hot showers are relaxing and comforting, they do a number on your skin. Heat dries the skin out, so consistent hot showers not only lead to drier skin, but also can lead to itchiness, rashes, and skin that is prone to breaking out. Cold showers do just the opposite. They promote healthier skin by not drying it out, as well as closing pores to prevent breakouts. Even by reducing the heat, or by alternating between hot and cold, you can effectively minimize the dryness and irritability of your skin. Cutting out hot showers entirely reduces these negative effects drastically. Hair Health: Like your skin, your hair is affected by the temperature you subject it to. Hot showers dry the scalp, which can not only lead to irritability, but flakiness as welI. It can also damage the hair follicles leaving them weaker and more susceptible to breakage. Cold showers again do not dry your scalp out, keep your hair healthy and strong, and even add a nice shine to your hair. Better Circulation: Blood circulation is essentially what makes our bodies function. Our blood moves oxygen to the brain, and all of our organs all over the body. This helps each organ to operate at maximum capacity. Additionally, increased blood circulation lowers our risk of heart disease. A healthy circulatory system means our heart can function optimally, which I’m sure everyone agrees is ideal. Boost Immune System: Our bodies have the natural ability of adaptation. When it goes through any sort of challenge our body can respond by changing for the better in case that situation comes up again in the future. Extreme cold is a great example of this. In order to warm itself, the metabolic rate of our body increases. By doing this, our immune system is activated and releases white blood cells into our system. Each time we take cold showers our metabolic rate increases, and more white blood cells are created. White blood cells are responsible for fighting sickness and disease. That being the case, cold showers inadvertently reduce the risk of getting sick in general. Testosterone in Men: Cold showers are proven to raise testosterone in men. Benefits here include additional energy, recovery, and strength. For those that have rigorous exercise routines, this means that you’re going to have more energy to lift, increased strength, and be able to recover quicker. I’d imagine being able to lift more and more often is something that many of you would be willing to take some cold showers to do. Even if you’re not working out as consistently as other men, having more energy throughout the day is certainly a desirable benefit of cold showers. Once again, switching to cold showers is not easy. Even after months of cold showers there will be plenty of instances where you’ll turn the faucet on and which you were turning it in the opposite direction. That being the case, it’s safe to say that cold showers require discipline. Like cardio or dieting, cold showers has you partaking in a difficult activity that leads to the betterment of your body. Difficulty for the sake of benefit is a great mentality that will lead to other parts of your life as well. Perhaps you’re working for a company that has been putting a lot of work on you lately. You’re finding it difficult to get through all of your work because it isn’t something you necessarily enjoy. The mentality of reward through trials that you go through every time you shower will start to motivate you in other areas. In the office situation, you’ll realize that buckling down and pushing through the struggle of work will lead to reward upon completion, whether or not that reward is tangible (i.e. a raise or promotion) or simply the satisfaction of finishing a task. Athletic discipline works the same way. Sprints at the end of practice are terrible, I know from far too much experience. But, getting through them legitimately helps late in games when you need to muster up the strength to make a few more runs. The mentality gained from committing to daily cold showers will translate to areas like this. I guarantee it. If you haven’t heard of Wim Hof, I recommend watching the video that I’m going to link in this article. The guy is amazing, and is a huge advocate of cold therapy. His may be a bit more intense, as he’ll go out in freezing temperatures in the Dutch wilderness and swim in, or under, frozen rivers. I won’t go too in depth because I really encourage you watch the video. But I’ll point out a couple things to get you interested. The man does not get sick, and claims that anyone who practices his methods can as well. At a clinic, he was injected with the flu and simply fought it off by his body naturally raising its adrenaline levels. Also in the video, they’ll show him buried neck deep in ice in a giant test tube, and are baffled at how long his body maintains its normal temperature. Click here to watch a 24 minute video on his methodology and why cold therapy can change your life. Cold showers are a big part of it! Look, I’ve said it every step of the way and I’ll repeat it now: cold showers are tough. I would say that 99.9% of us have grown up with hot showers not only as a way to get washed up, but as a method for relaxation and comfort. It may feel good to take 5 or 10 minutes to relax in that hot shower, but you have to ask yourself if it is truly worth missing out on some serious benefits. If you want the benefits, here’s how you progress to the all cold shower diet. First, start slow. I don’t expect you to start tomorrow morning and take an ice cold shower, then never look back. Start by getting into your normal cold shower, then gradually making it colder and colder until there’s no sense of heat whatsoever. Then go even colder. Stand in that coldness as long as you can. It may be 15 seconds, it may be a minute. After that you can go back to warm. Do this for a week or two until you can leave it on cold for a couple minutes. Maybe don’t go back to warm after either. At this point, wash yourself during the hot stage completely, as you normally would. Second, start cutting out the heat. Instead of hopping into a hot shower, start off on warm. Go through the same exercises as above but avoid anything higher than a lukewarm temperature. At this point you should be ending your showers with cold, instead of going back to the warmth after. Here, I want you to lather up your hair and body while it’s lukewarm, but rinse off in the cold. This will help further prepare you for the last stage. Finally, cut out the heat altogether. Everyone is different so you may arrive at this point after two weeks, or after a month or so. The point is you should be progressing consistently. Don’t get too hung up on each stage or else it will get harder and harder to arrive here. You may start off with it cold and then go down to ice cold if that’s easier. I know at some points in the winter the water gets so cold it almost burns. You don’t have to get this intense, but you should not feel any sensation of heat at any point. If the idea of losing your hot showers for the rest of your life freaks you out, treat it like a diet and take a cheat day. Or even a cheat weekend. You’re still going to get the benefits, just not to the full extent. Your skin isn’t going to completely dry out from one or two hot showers a week. However, be warned! Once you start doing a cheat day it becomes very easy to go days without returning to cold showers, or even stopping them altogether. I find it better to completely give them up once you get in a rhythm. You may never get to the point where you’re excited to shower. You may have to take a few deep “pump up” breaths every time you go under the faucet. However, the benefits are worth it. All I can say at this point is: go for it! There are so many benefits to be achieved by changing such a small part of our lives. A shower takes 2-8 minutes out of our day on average, and by changing those few minutes from a time of relaxation to essentially a time of training can change us for the better. I know I’m willing to make that small sacrifice to see the benefits. Better skin and hair, an immune system booth, resistance to sickness, and better circulation all benefit the body as a whole, and a couple minutes of intense cold can achieve that for us. Additionally, cold showers help our mentality, teaching us the idea of difficulty leading to benefit, and helping us to apply that to all avenues of our lives. So take the plunge and give it a go. If you truly stay disciplined and stick it out, I can guarantee you and your body will be happy you did.